Looking to find the fanciest apartments in Colorado? To find the finest, look in these 4 Colorado areas with the State’s highest average apartment rental rates. Interestingly, they’re all within 25 miles of Denver. 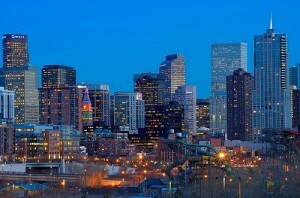 A southwestern Denver suburb, Columbine has the highest average apartment rent rates in the State of Colorado. While the area still is most famous for the tragedy that occurred there 12 years ago, many people fail to notice that Columbine is a beautiful place. On the outskirts of the Denver metropolis, residents have reasonable access to the capital and all the shopping and great restaurants anyone could hope for. Columbine is a great place and the high rent prices are evidence of how much people like living there. Directly south of Denver, this suburb had its beginnings as a master-planned community. Forbes has named the area one of the top places to live in the nation and Business Week named Highlands Ranch one of the best places to raise kids in 2010. With 23 parks, over 70 miles of trails and well over 2,000 acres of open spaces, the community attracts active people as well as plenty of wildlife. A southeastern Denver suburb, Centennial is a new city, only incorporated in 2001. The city was chosen as the location of Colorado’s first IKEA store and is home a beautiful temple belonging to the Church of Jesus Christ of Latter-day Saints. Centennial ranks as the 15th safest city in the United States. Southeast of Denver and with a median family income of $95,641, it’s no surprise this town is on our list of highest apartment rates in Colorado. Also, just over 45% of the citizens in Parker hold a bachelor’s degree or higher, almost twice the national average of 27.5%. Education is important for children here, as well, with students in the local school district scoring 12 – 19% higher than the state average. 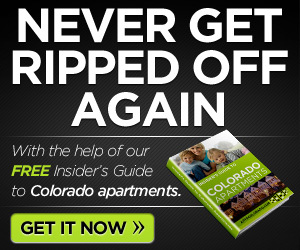 Consider carefully when choosing between different locations for apartments in Colorado. The areas with the highest rents in the State are all located a little south of Denver and will likely be some of the best places to live. How about you? 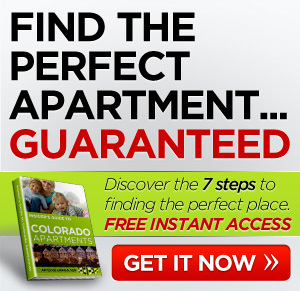 Find any apartments in Colorado? Comment below.